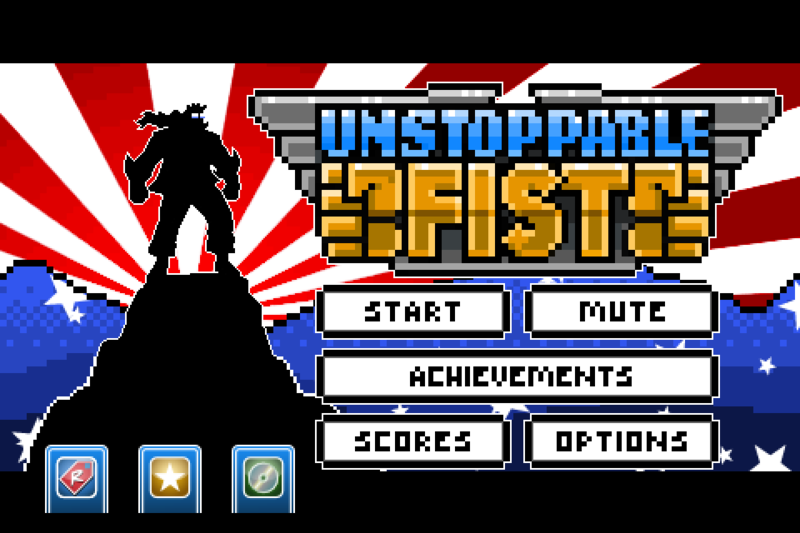 The second of Ragtag Studio's small game/experimental App Store releases, Unstoppable Fist is an infinite attack action game that asks players "How Unstoppable Are You?". Get immersed in the games retro 16-bit style graphics as you deliver powerful blows with your Loafers of Light and Unstoppable Fists to defeat the hordes of demonic enemies. 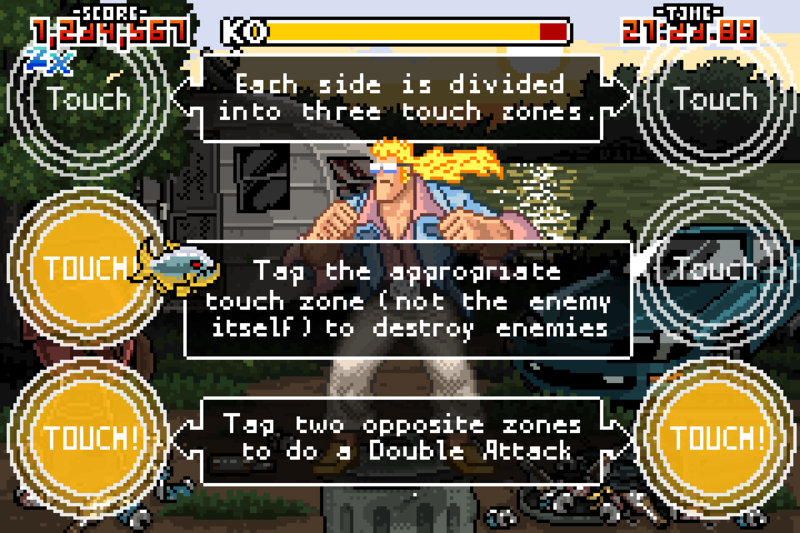 Survive as long as you can by tapping at one of six onscreen touch zones to deliver attacks to HI, MID, and LOW levels. Beware, each enemy type has a different attack that will test even the most skilled player! The game's deceptively simple pick up and play fun is perfect if you have a spare moment or stay for an in depth challenge from Unstoppable Fist's numerous achievements that will hone your tapping skill to a razor fine point. 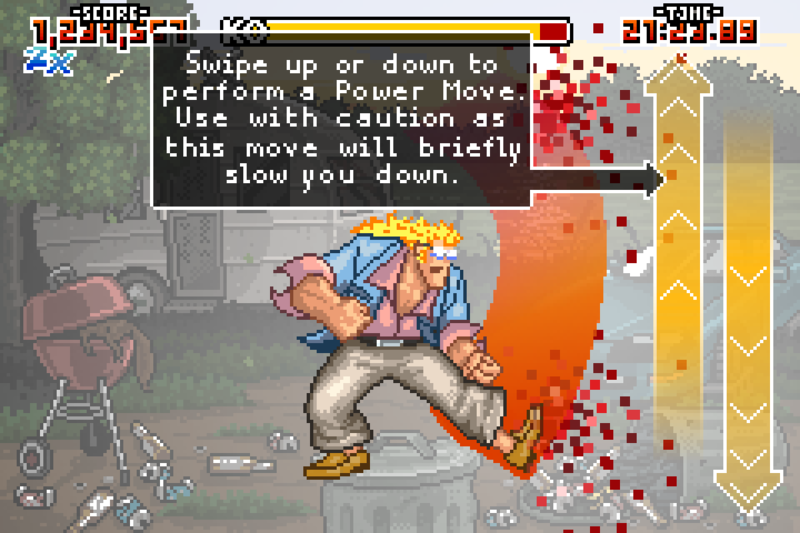 You'll need those skills as well as a golden mullet to climb the Unstoppable Fist leaderboards and school your friends. Born of an unbridled passion to create, Unstoppable Fist was forged by a two man team of Matt Carter and Shelby Allen. With the only funding being buckets of blood sweat and tears After working many a long night at our day jobs we would trudge home through the brutal Chicago winter to our homes. There we would find the warm embrace of many more long hours in front of the monitor glow and forsaking even the embrace of our loved ones. Multiple skill levels make it great fun for the inexperienced and pro gamer alike. 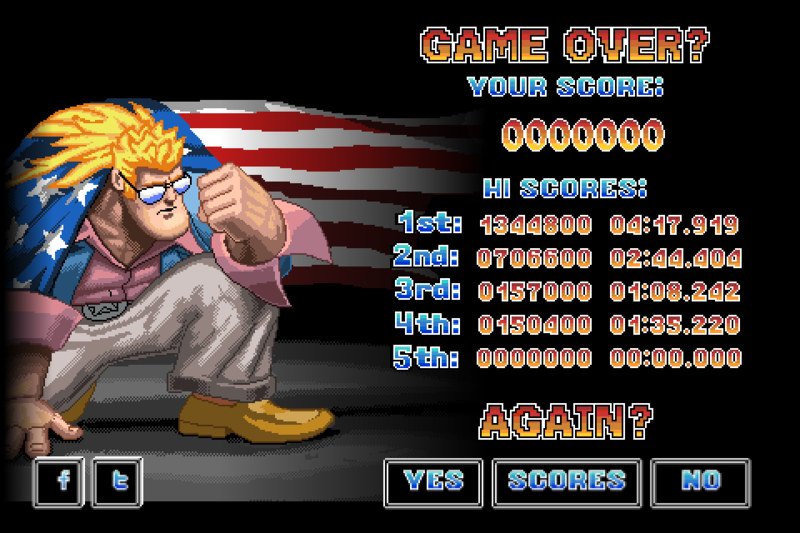 Over 30 finger destroying Gamecenter Achievements to defeat! An ever increasing difficulty that will give you a beating and have you screaming for more! Game Center leaderboards let you see how your skills stack up against your friends! Three animated stages featuring more than 20 different enemies! Unstoppable Fist has not received any awards or recognitions yet. Please check back later to see if things change. "There’s no picking this up and just playing one round. In any case, the result is a realization of the arcade mentality iOS games often try to capture. Unfettered fun minus the bag of eaten quarters. " "...anyone looking for a short, sweet, fun, and almost infinitely replayable score-attack style arcade game to be played on the go can stop right here. The search is over. Time to beat some alien turtle face." 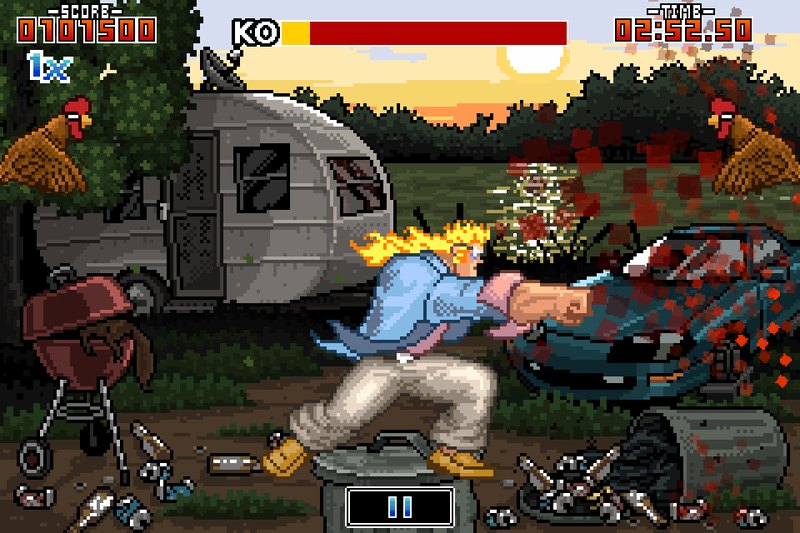 "Unstoppable Fist' Seems Like Everything We Want From A Game About Hitting Stuff"
"Summer 2012 Most Wanted iOS and Android Games"
"What do you expect zombie fish and zombie chickens to do? Punch THEMSELVES in the face? No!" Available for free (limit 200 per month) from unstoppablefist.bandcamp.com.